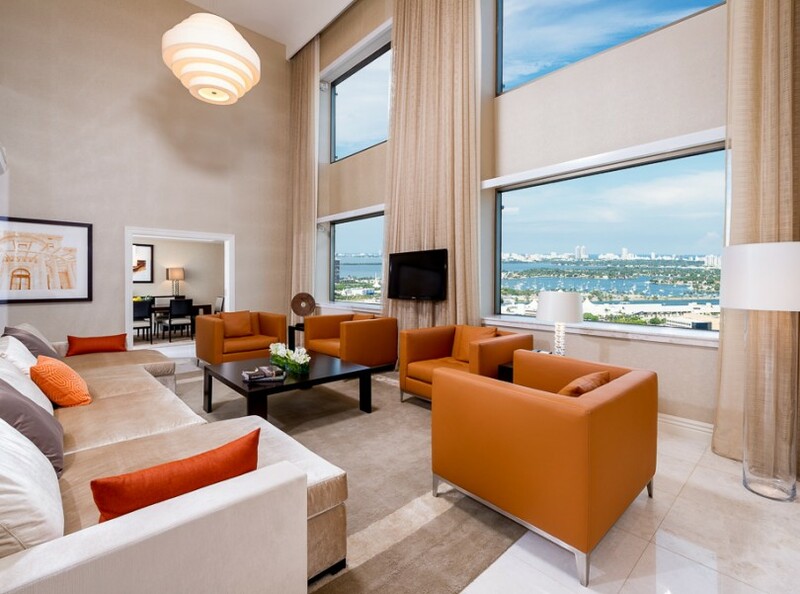 Stay at InterContinental Miami and enjoy unparalleled service while beholding commanding views of the Atlantic Ocean, Biscayne Bay, and the Port of Miami. 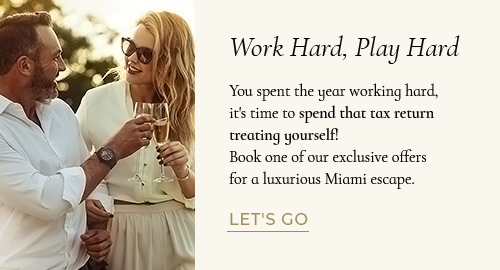 Our 653 elegant guest rooms, including 22 stylish suites, present luxury paired with Miami charm. 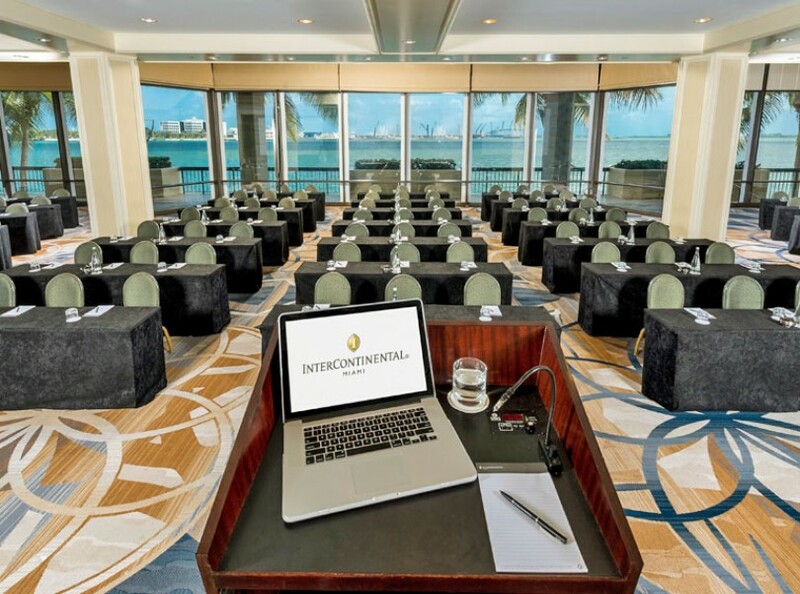 And our 101,000 square feet of meeting space, spread over 35 meeting rooms, allows guests at our downtown Miami hotel to hold massive conferences as well as quick meetings. 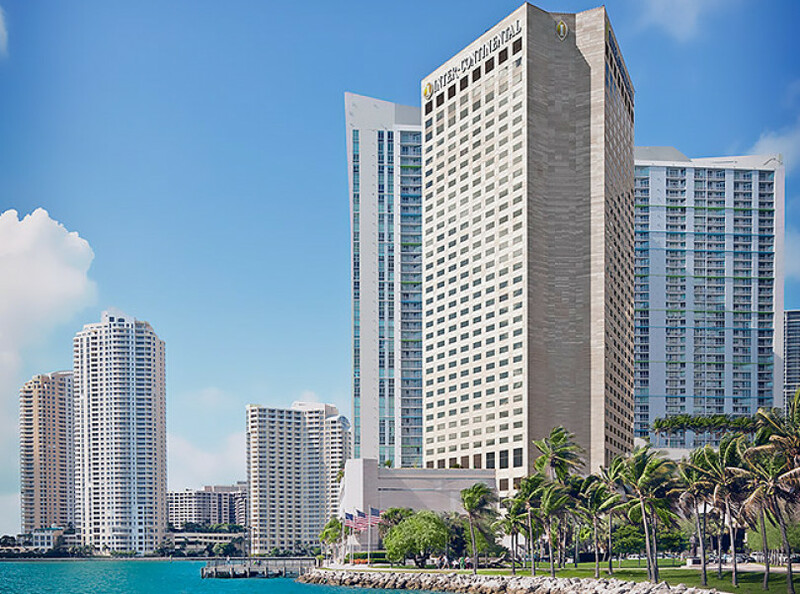 In 1982, InterContinental Miami was built in an untraditional way. Instead of building the hotel, then decorating it, we started with an art sculpture. 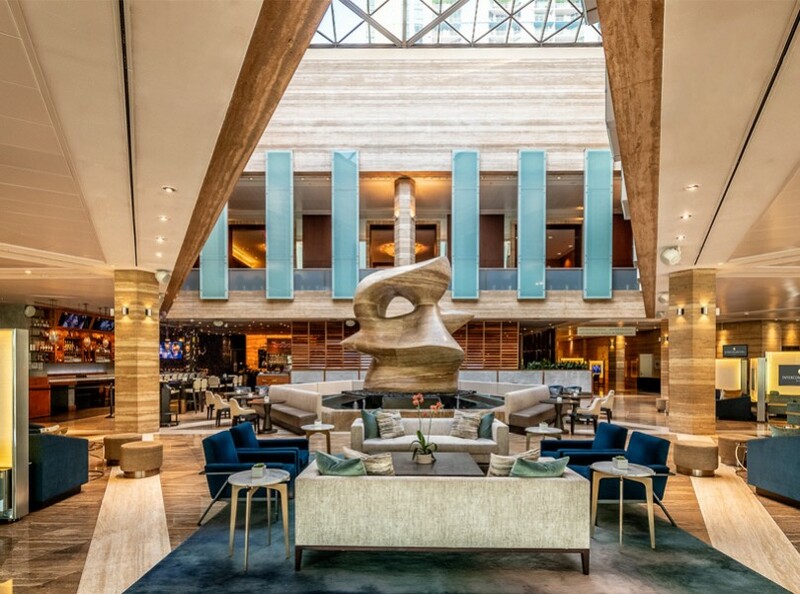 Henry Moore's 18-foot, 70-ton Spindle sculpture, made of travertine marble, was the focal point our lobby was created around. 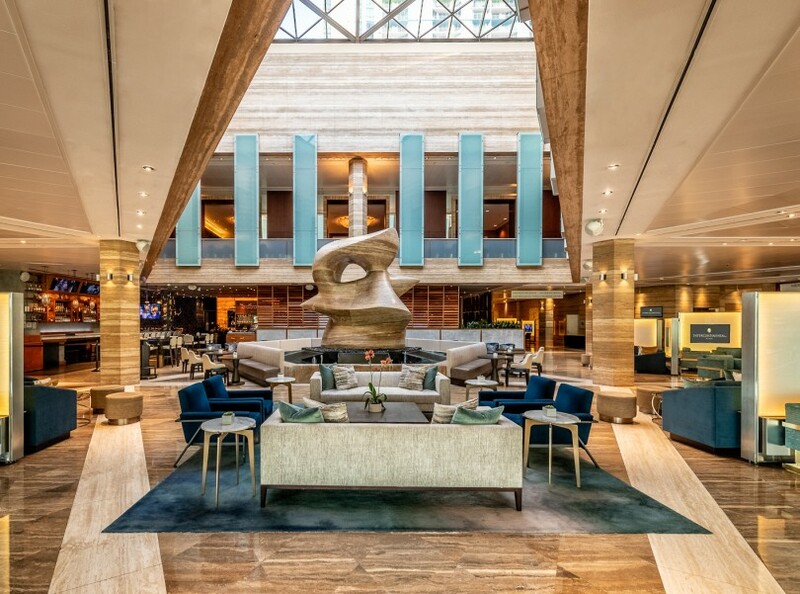 Pietro Belluschi, the world-famous architect who designed our 34-story hotel created our Grand Lobby to be an elegant entrance, with its Italian marble slabs and precious African wood complementing The Spindle. Between guests and locals, 500,000 people visit the hotel each year. The hotel has been the official home of the Orange Drop on New Year’s Eve for more than 25 years. Mr. Neon Orange is custom built to fit the exterior apex of the hotel. The Presidential Suite and Royal Suite were originally decorated and named for President Ronald Reagan and Princess Caroline of Monaco, respectively. Today, they are both known as the Royal Palm and Metropolis Presidential Suites. 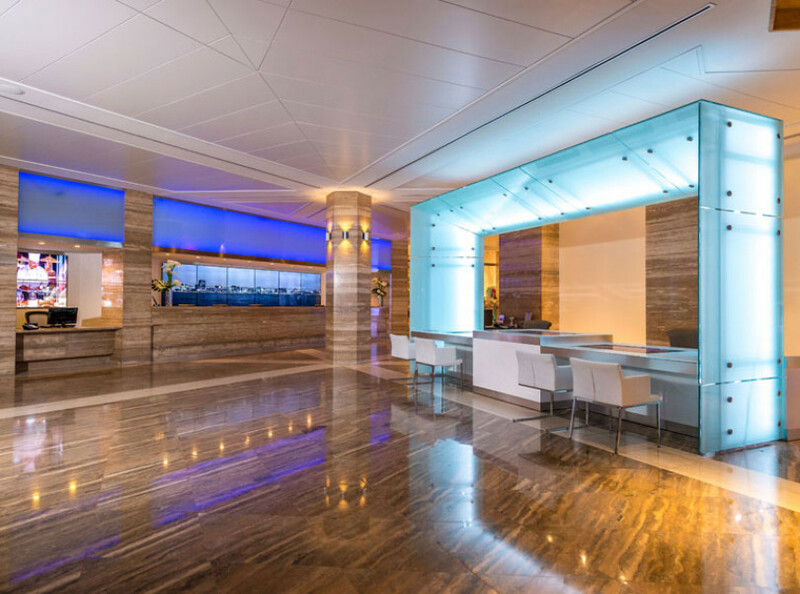 In 2012, Venus Williams, along with her interior design company V*Starr Designs, fully renovated both suites and our InterContinental Club Lounge. InterContinental Miami has been the host hotel for five Super Bowls. Our hotel was the host hotel for the Presidential Hemispheric Conference, bringing 20 heads of state to Miami. 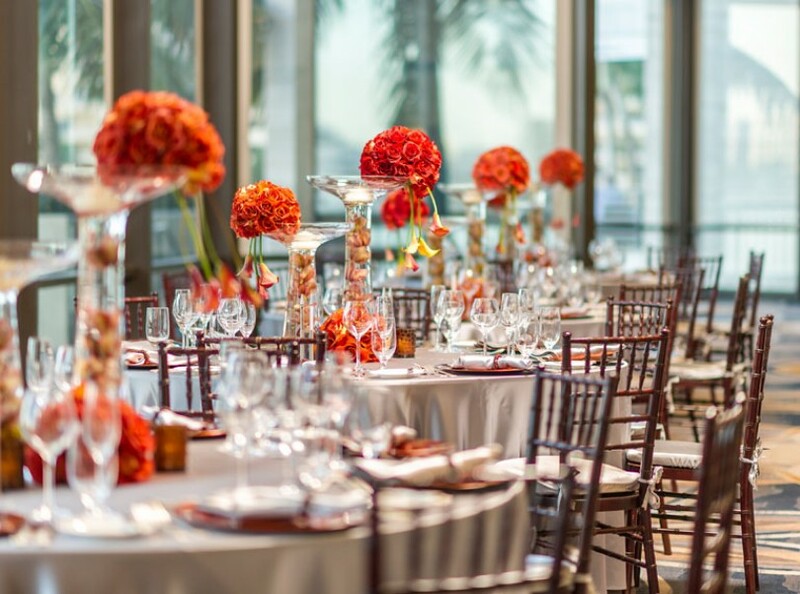 For 24 consecutive years, our hotel has presented the InterContinental Miami Make-A-Wish Ball to benefit the Make-A-Wish Foundation of Southern Florida. As of 2018, the total amount raised through the ball exceeds $26 million. 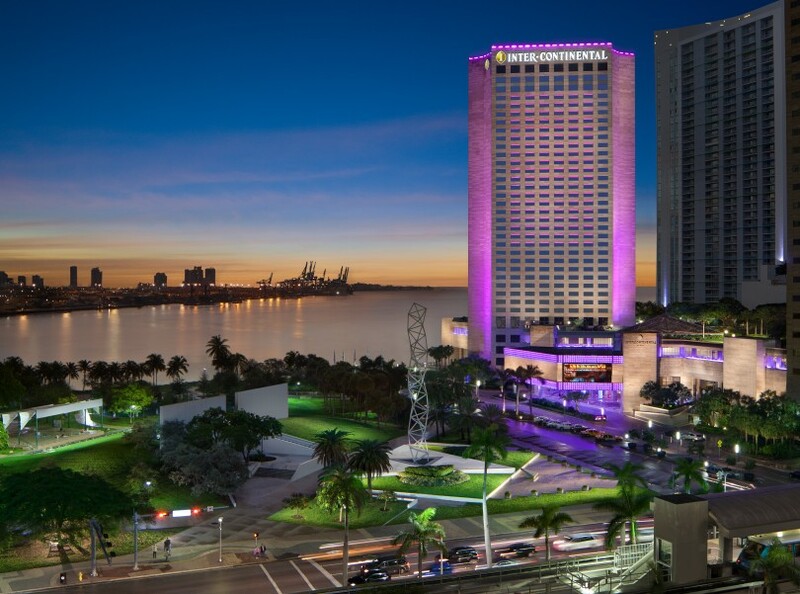 InterContinental Miami was originally designed to be a casino. 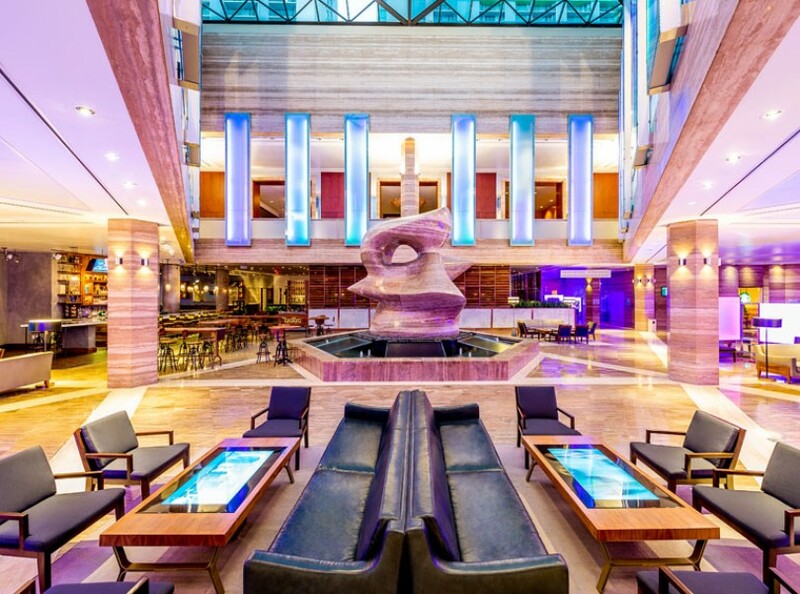 The hotel employs 615 colleagues, of which 33 have been with the hotel for more than 25 years, with 30% having been with the hotel for more than a decade. 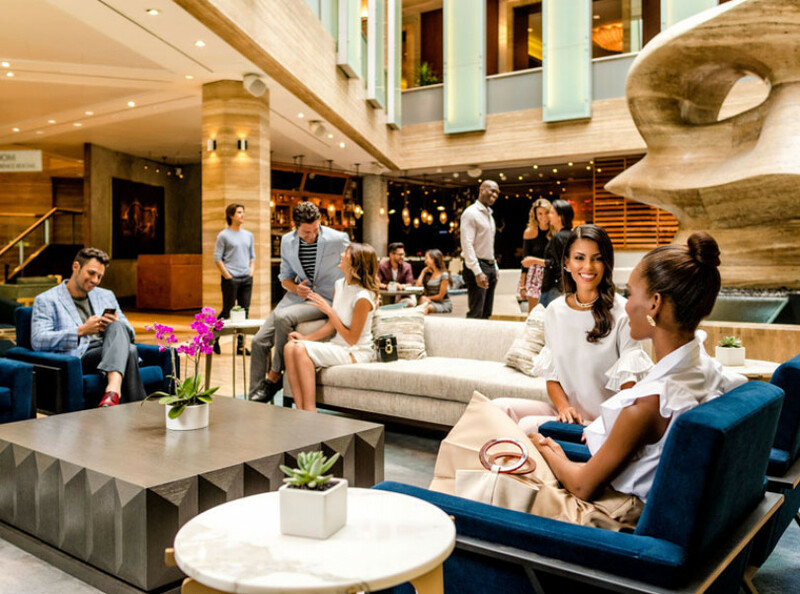 Our luxury hotel in Miami has hosted heads of state, artists, and the world's top athletes.